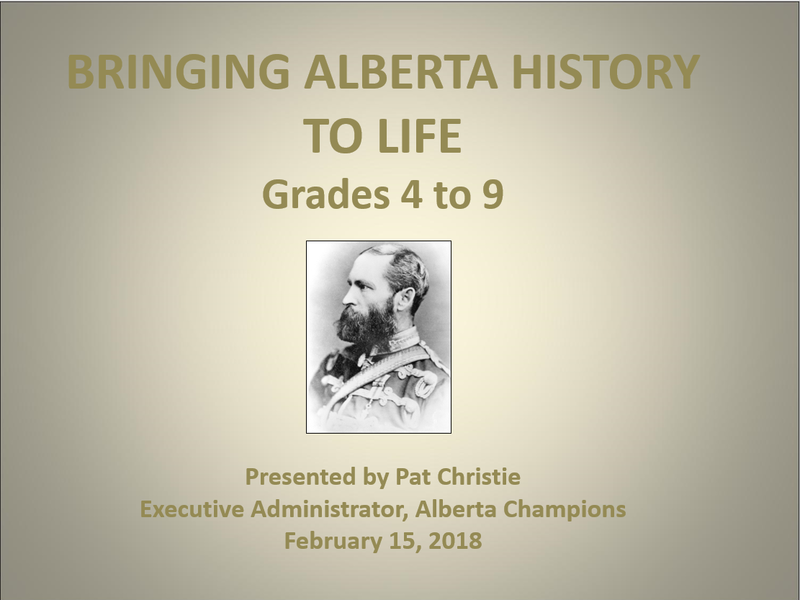 Pat Christie will be representing the Alberta Champions Society at the 80th Annual Palliser District Teachers’ Convention 2019 on February 21 & 22, 2019, held at the Calgary Telus Convention Centre and the Hyatt Regency Hotel. We look forward to meeting with the teachers, principals, and curriculum coordinators! 2018 Student Contest Winners Announced!